World leader in civil drone technology, DJI, regularly presents mind-blowing new technology. 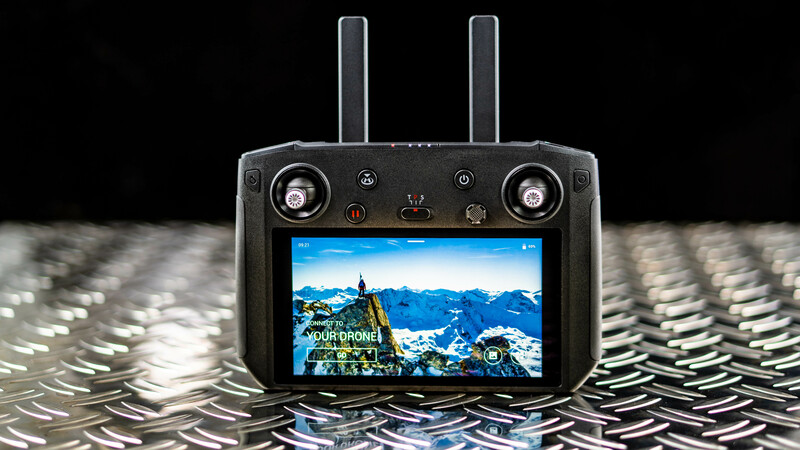 Drones that feature obstacle avoidance systems and fully stabilized 4K cameras handles that keep regular cameras stable even while running, miniature travel cameras that deliver an impressive quality and so much more. This time, DJI unveiled an accessory for their latest drone series – but can an accessory really blow us off our chairs? We have taken DJIs Smart Controller to the test and here are the three significant facts that you should be aware of. Is it worth the hype? Let’s find out! The new DJI Smart Controller is more than just a controller. It combines the best of two worlds. It is firstly a great remote! That’s primarily because DJI since many years builds drones and controllers. They know how to shape a user-friendly controller that has the right buttons and joysticks in the right places. But what’s new is, well, I know that it’s not a secret anymore because you have already seen the photo, the seamlessly integrated monitor. No more smartphones, no more tablets, no more cables. But is that basically it? Did DJI just replace our monitor? No. The monitor of the new DJI Smart Controller is almost twice as bright as most normal smartphones. It even beats the latest iPhone XS Max by a whopping 340 Nits. The 5.5’’ screen with a Full HD resolution really offers a 1.000 Nits of brightness. Owners of the new Smart Controller can thankfully forget their sunshades at home! The display brightness is a great leap forward. The new DJI Smart Controller does not only feature a super bright display, no, no, but it is also more robust than its standard predecessor. I love being in the nature, in the wild. I love glowing deserts, vast landscapes, but the most I love the cold. Filming ice and snow with a drone leaves the audience breathless. That’s where it often got tricky. Batteries don’t like the cold. They tend to either fail entirely (that’s why it is crucial that you keep your drones batteries warm before flying them in the cold and you should let the drone hover close to you for about a minute and only after that start your normal flight) or they just die super early. A fully charged smartphone, and it usually is the smartphone causing the trouble, can run out of power within minutes. Even my new iPhone has problems. Sometimes the battery gives up as soon as the thermostat drops below 0°C. Plus, that sometimes the display freezes (not physically) and the phone has to reboot. And none of that should happen in flight. It is both a safety risk and it ruins a day of filming and taking photographs in the nature. The new DJI Smart Controller is built to last not only to 0°C like the standard RC, but it is made to last until -20°C. What I can say is that during testing I experienced no problems at all. The battery lasted as usual, and the screen didn’t give me a hard time. Not once. Okay, I admit that it didn’t get colder than -5°C during my tests, but my iPhone gave up when it was warmer already. Every product has downsides. That’s just a matter of fact. Let me list everything you should know. For example this: DJI did not upgrade the maximum range. It stays 8km in the US and about 5km in Europe. No changes here. That’s actually whining on a very high level. No other manufacturer is capable of building drones with such strong signals, but … It’s a new remote, I would have been happy to see in increase in range. Next, the new DJI Smart Controller misses a SIM-Card slot. If you need an internet connection, maybe for live streaming, you need to create a hotspot with your phone and then connect the remote. Without its own SIM-Card slot, there is no way to go online with the remote only. It needs a WiFi hotspot to connect to. Last, but not least, the battery of the remote lasts for about two hours only. But that’s actually okay, keeping in mind that it powers an accurate 1000 Nits display. What’s more annoying is, that it charges pretty slow: again approximately two hours. 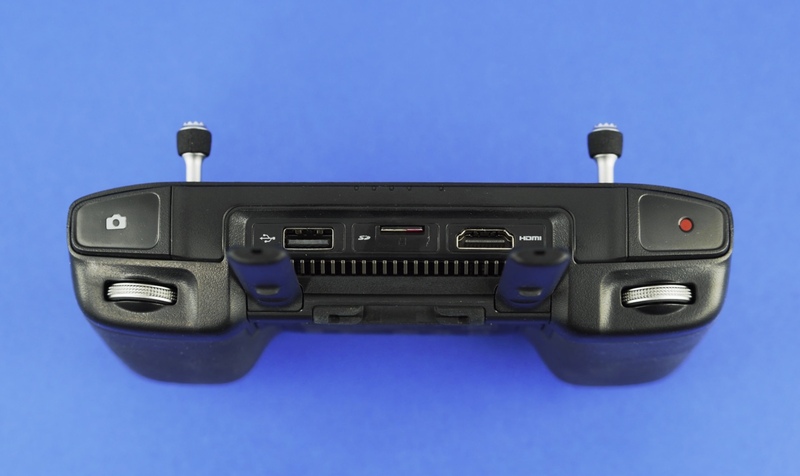 Maybe this: I wouldn’t cut off an arm to afford the new DJI Smart Controller, but I’d definitely give a finger or two. I’ve always struggled with the display brightness, especially in summer time. It’s amazing that from now on that one major problem is finally solved. I know that some of you might think I’m just heavily promoting another DJI product because I’m a fanboy. That’s not true. I have never been a fanboy of anything. I look at products, and if I love them and see that they make sense, I’ll say it. And this is my second favorite accessory (after ND filters) so far. I was already a big fan of DJI CrystalSky, an external monitor that is super bright too and that you can attach to almost all DJI drones (check it out here), but my problem was that I still had to deal with cables (I know, again whining on a high level) and that it was quite heavy and the batteries too large. The new DJI Smart Controller is a logical step in DJIs aim to revolutionize technology, and it makes their drones safer, more comfortable to use and overall better tools for ambitious and professional users that want to get the maximum out of their flying friends. Interested in more? Watch my review and buy a DJI Smart Controller right here. You’ve seen travel vloggers make a living crossing the world and seeing places you’ve only dreamed about. They post travel videos on YouTube for thousands of followers or even millions. It’s a lifestyle you want to emulate and make your dreams of travel come true. How do you make videos that look professional? Your worst fear is creating videos that look as if they were done a shoestring budget…even though they were. Who’s going to subscribe to that? You don’t need an expensive camera and entourage of lighting people to create videos that look great and will entice your audience. Follows these tips and you’ll be on your way to a television show on The Travel Channel in no time. We’ve all seen the GoPro travel videos where a beautiful scene is suddenly interrupted when the vlogger runs and shakes the camera. You’re disoriented, nauseous, and quickly click to the next video. Shaking cameras make videos look amateurish! When shooting, try to stand still or move very slowly. Ideally, have a Tripod, but if not, hold the camera in two hands, close to your body. This creates a more stable position. There are editing programs that can help with stabilization, but only for light vibration and not a spastic sprint to see a pelican close up. 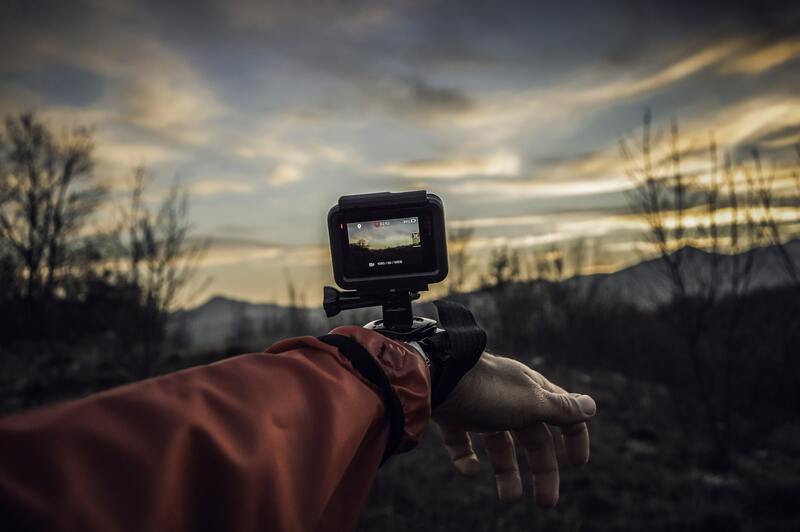 A good alternative is a motorized gimbal that automatically keeps your camera stable, even while walking or running. These days, people are used to shooting vertically because of how they hold cell phones. It’s tempting because you can get a nice full body shot and you don’t have a lot of extraneous visuals on the sides. 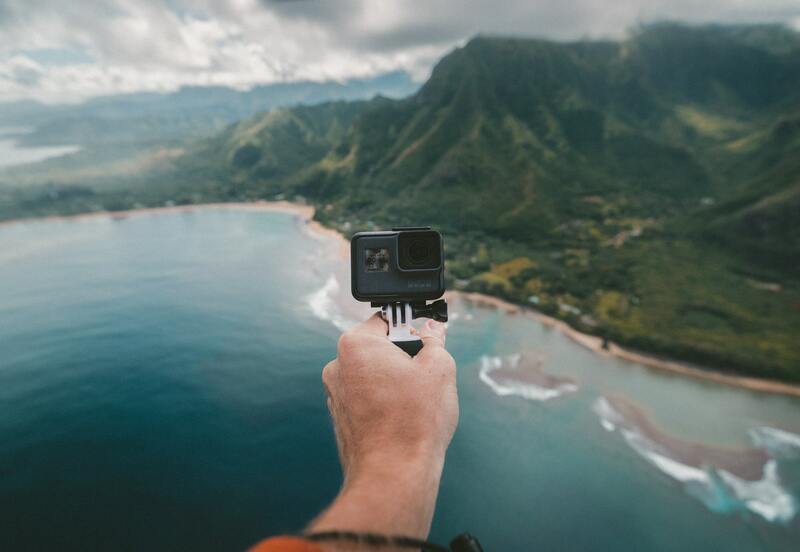 We don’t recommend shooting vertically because it may look great on the camera, but it won’t in a video! Most video players like YouTube are configured horizontally. A vertical video will end up smooshed on the screen with black bars on the sides. Why? It’s fitting the video to fit the horizontal screen, so it shrinks images and uses black bars to fill up space. It’s best to film horizontally. By the way, there is a great gimbal for Smartphones that keeps it steady for smooth filming. It is affordable, small, does a good job and the battery life is superb. You should check it out! We know it’s easy to focus on the present when filming, especially if it’s fun and exciting, but keep editing in mind. One important videography tip is to try out different angles such as close-up, medium, and wide shots, so you have a variety when editing. You don’t want to have a great video — except for that one shot that doesn’t look right. Unfortunately, it’s the only one you had. Remember to frame the shots and have an idea or outline of your video before you shoot it. It’s fine to change the plan once you’re editing, but at least have something you know you can put together. People see vlogs and travel videos from the perspective of the host but liven things up with drone aerial photos. Modern drones are portable and many have quality cameras built-in. You can keep it in a small bag and get some unique views and perspectives of mountains, bazaars, and other popular video subjects. Edit them in with your point of view and other footage to create a multi-angle video that looks great and is different from everyone else’s. Besides that, don’t copy others: do it your way. It might take a while, but in the end the audience will love you for your very unique style! You see a great shot of local animals but you’re afraid to get closer. You’re shooting from your phone or GoPro and can’t get a tight enough shot, so you use the digital zoom. Most cameras and phones have digital zoom but it doesn’t look good even when you use it a little. The closer you get, the worse it gets. Instead, slowly walk forward. It’s better to risk the shot than guarantee a bad one. People dream of making a living traveling the world. 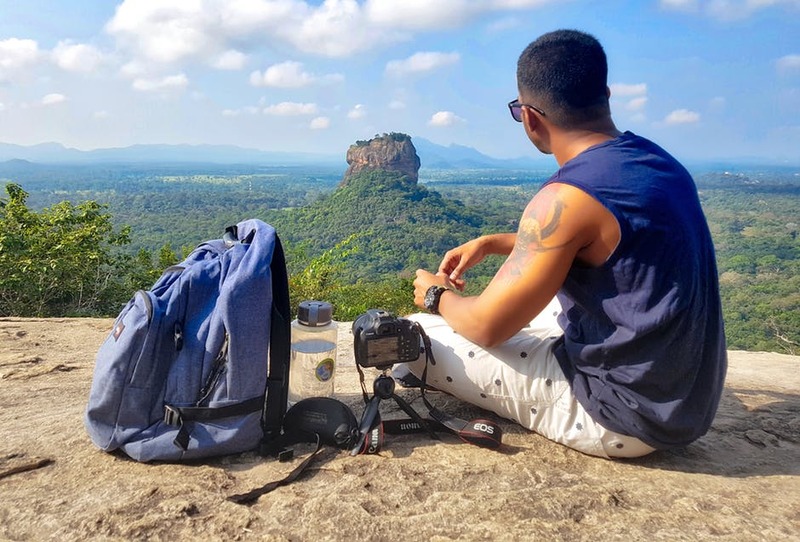 If you want to do this for a living, then you need travel videos that people want to see. If you’re interested in learning more about photography or videography, then explore my site and subscribe to my YouTube channel. The post Dronethusiast Roundup: 2018 Year in Review appeared first on Dronethusiast.